Should Turkish leaders be allowed to campaign in Europe? Absolutely. Could Turkey have waited six days until the Dutch election was over? You bet. European sensibilities across the continent were wounded yet again by Turkey’s president Recep Tayyip Erdoğan, who has again rolled out the N-word to complain about another European country. This time the target is the Netherlands, which blocked a referendum campaign rally by Mr Erdoğan’s foreign minister Mevlüt Çavuşoğlu in Rotterdam. “How will your country’s flights come here now after not granting permission to our foreign minister?” Mr Erdoğan said at an inauguration ceremony, which doubled up as a rally in Istanbul on Saturday. Mr Erdoğan argues that he himself is the one with the righteous complaint. He wants to canvass Turks in the Netherlands – many of them his own citizens – before a referendum in which they have as equal a say as people back home in Turkey. What the Netherlands did today and German local authorities earlier in the week, he says, is tantamount to muzzling Turkey’s leaders. And Turkey is too strong a country to be silenced by Europe. But the Netherlands has a general election of its own on Wednesday where the top issue has been Muslim – including Turkish – immigration, so a potential Turkish rally in Rotterdam has clear Dutch domestic implications. Turkey could have followed the standard rulebook of diplomacy and put off its rally by a week. Turkish expat voters in the Netherlands do not start voting until 5 April – that’s three-and-a-half weeks away. Of course, we’re not in a standard era. In a Donald Trump style of diplomacy, the Turkish government’s mantra appears to be that attack is the best form of defence. The Netherlands’ envoy in Ankara has been summoned to be told off for his country’s actions. This row – and its predecessor, a clash with Germany earlier in the week – is part of the governing AK Party’s core voter strategy ahead of next month’s referendum. Mr Erdoğan’s team believes mobilising Turkish nationalists is the best way to deliver the 50 percent plus one votes it needs to secure the sweeping reforms that pool power in the hands of the presidency. In doing so, AK is finally burying the tactics that won it eleven different elections since 2002. The party’s success was once based on its ability to unite disparate sections of the population – liberals, minorities and nationalists alike. That constituency has eroded over the years, but the campaign in this referendum is remarkably different. “I take my orders from the nation,” is Mr Erdoğan’s popular refrain. His words are chosen carefully, part of a clear effort to roll Turkey, its state apparatus and the AK Party into one. 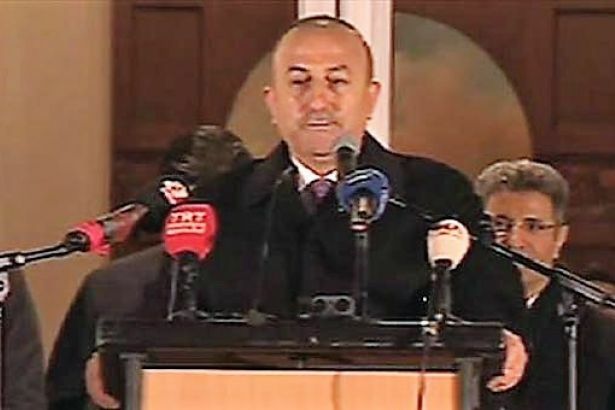 Never have they been so intertwined: Mr Çavuşoğlu got around part of Germany’s ban last week, for example, by holding his rally on what should be politically neutral territory: the Turkish consulate in Hamburg. A recent government decree means the YSK, the ductile body that runs Turkish elections, can no longer penalise TV networks for ignoring rules on impartiality. And this is in an environment where there is practically no critical news coverage within the country at all: a UN report highlighting multiple human rights abuses in Turkey was barely covered in Turkish anywhere. The clearest sign of this divide-and-rule strategy is the way he secured the support of Turkey’s two largest nationalist parties. It was the votes provided by the far-right Nationalist Movement Party (MHP), the fourth largest in parliament, that got the proposals sufficient support to put them to a referendum. And this week a far-right stablemate, the BBP, also announced it was backing a Yes vote after its leader met Mr Erdoğan and despite an opportunity to capitalise on vociferous grassroots anger within the MHP. In a little over a month, we will see if the AK Party’s new strategy will deliver its twelfth consecutive win at the ballot box.